Experience private dining for you and up to 25 guests in the Cafe Diplomatico events room at no extra charge. This cozy space has a screen and projector, and a fireplace. 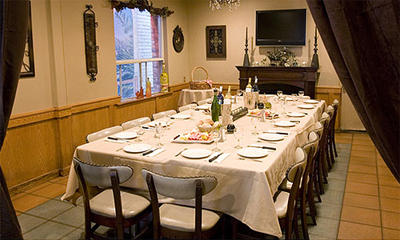 Cafe Diplomatico hosts corporate functions, special events and parties, kids parties, and meetings. For more information please give us a call or to stop by the restaurant. Make your next event or group function special by celebrating at Cafe Diplomatico: a landmark of Toronto history!